Care giving is no small feat. Caregivers are giving, loving, patient people who often put others’ needs before their own. Many of the skills needed for care giving are learned over time through trial and error. We asked our knowledgeable and supportive Facebook fans made up of survivors, caregivers and family members what advice they’d give to new caregivers as they deal with so many of these issues every single day. 9. Take time out to make sure you take care of yourself so you can be the best caregiver you can be. 10. Build a support system and find people you can rely on when you need to. Interested in joining the conversation? ‘Like’ us on Facebook and Follow us on Twitter. Check out more care giving posts here, here and here. Still looking for more information? Call the Brain Injury Association of Massachusetts Information & Resources Department at 1-800-242-0030. 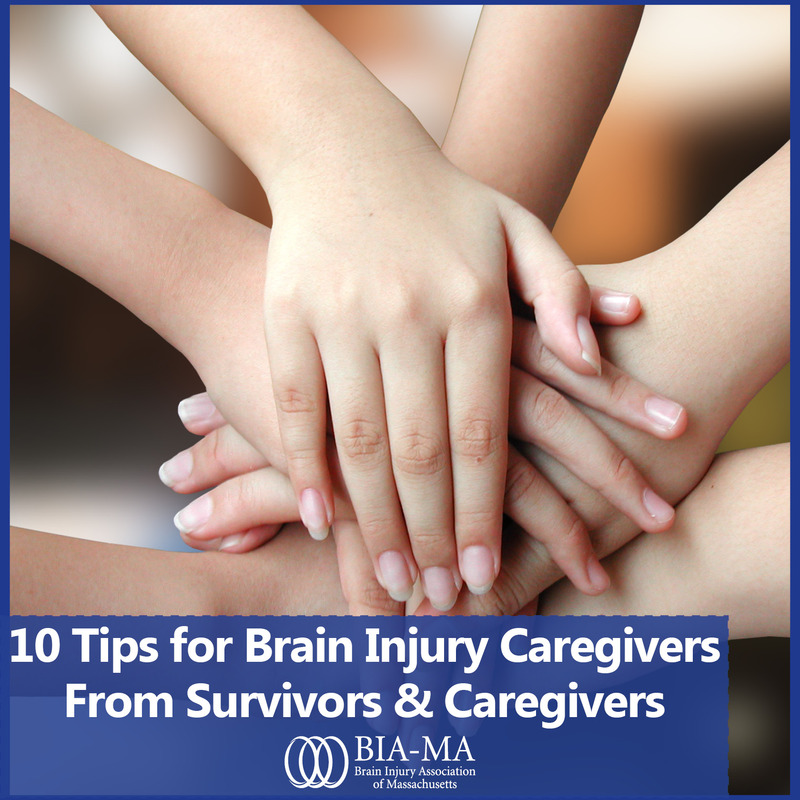 This entry was posted in Caregiver & Family Member Support and tagged brain injury, brain injury caregiver, caregiver, caregiver help, caregiver support, caregiver tips, TBI, traumatic brain injury on July 8, 2013 by Brain Injury Association of Massachusetts. Reblogged this on My World with TBI.